Rocknuts, October is nearly upon us. With that being said, so is new music. Here I’m going to highlight my list of albums that will make October a worthy month of rock. 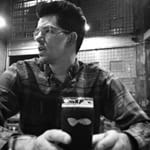 There are a lot of albums that are going to be released. What albums are you looking forward in the month of October? I’d love to hear about them. I place Deafheaven here with a word of caution — these guys aren’t usually for the typical rock fan and/or the faint of heart. With the release of 2013’s critically-acclaimed Sunbather, Deafheaven helped redefine what shoegaze, rock, post-metal, and black metal could look like. With New Bermuda these guys look to reboot Sunbather with darker and decidedly more classic metal moves. This statement should get many fans excited for this highly-anticipated album. 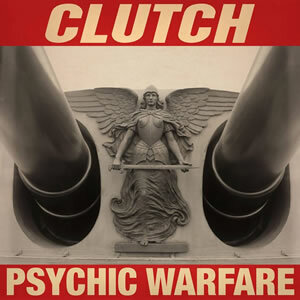 Clutch has been been pushing their brand of stony blues-based psychedelic rock and metal riffage since their first album Transnational Speedway League released in 1993. It’s crazy to think that they’ve honed their sound and made it even tighter for Psychic Warfare. This album could be a rocknuts’ delight. A strong voice and style in today’s rock, sludge, and metal scene, Kylesa knows how to rock their riffs, embrace the fuzz, and crank the heavy. A band so heavy — yet controlled — they have two drummers. Exhausting Fire will be a great follow up to 2013’s Ultraviolet. I mentioned stoner rock earlier and no one can usually bring up the genre without talking about Monster Magnet. Taking influences from 1970’s space rock and metal bands, Monster Magnet looks to release Cobras and Fire (The Mastermind Redux) which they’re calling a “alternative listening experience” to their 2010 album Mastermind. Whatever that means, color me intrigued. You know this has to be here. Get excited because it’s new DEF LEPPARD. How could Rocknuts fans not be looking forward to this? A bit of an odd man out on this list, Deerhunter has been shaping indie pop, shoegaze, dream rock, and garage rock since they released Cryptograms in 2007. They’ve been dropping acclaimed album after acclaimed album and their newest release, Fading Frontier, shouldn’t be any different. Give these guys a listen and expand your horizons. Those who’ve known me know that I have an ongoing love affair with Ty Segall, especially Ty’s space rock, fuzz-induced, Blue Cheer-inspired project FUZZ. With one self titled LP and some 7-inch singles under their belt, FUZZ looks to come back bigger and burlier then ever. With a big metal hesher style, II is set to be the most woolen album in October and maybe even for the year.